The game Blackjack 21 can be found on many different mobile platforms more specifically with casinos that are powered by Real Time Gaming software. With the mobile platform, players will simply go to the website from their phone or tablet, from there they will have the option to either sign up or log into their exisiting account. On some devices, Blackjack 21 will be the first option that is available to them. After clicking on the game, players will have a load icon which will zoom to 100% within just a few seconds. 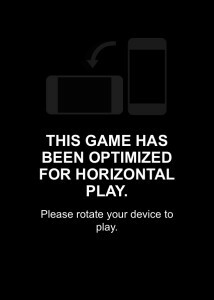 When you first open the game, depending on your device you may receive a message that tells you to turn your device horizontal for the best optimal display. Once you’ve rotated your screen, you will see the full sized game. The Blackjack table is laid out just as it would be in a land based casino. You have the split, double, stand and hit buttons to the right along with the chips and dollar amounts that are available. If you don’t have sufficient funds, you will only see the bet amounts that are available for this game. On the left side, you will see your balance information which can be changed by visiting the cashier. When looking at the table you will see the table limit whether there is a set time or a set dollar amount. 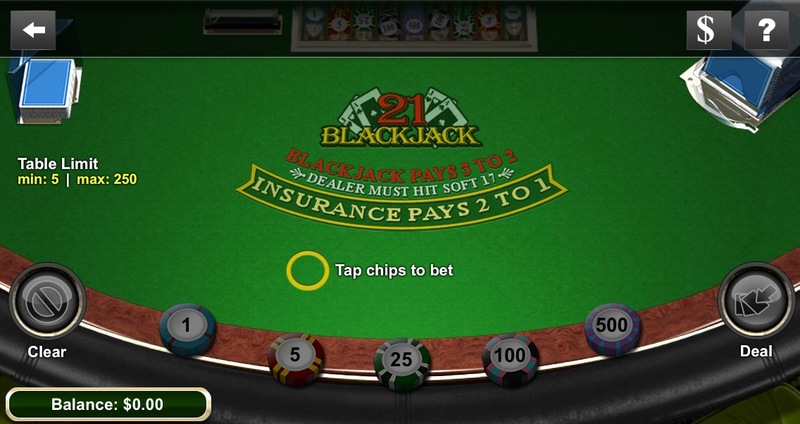 Overall, game play with Blackjack 21 is very simple and easy to use, even from a mobile device. From what I’ve noticed, the load time is much faster than with online casinos. The game is very fast paced if you want it to be, meaning players set their own pace limit by the way they play. This is a great way for beginners to get the hang of Blackjack before heading out to a real live land based casino. This game does offer players the ability to purchase insurance just like they would in land based casino versions of Blackjack or online casino versions of Blackjack.